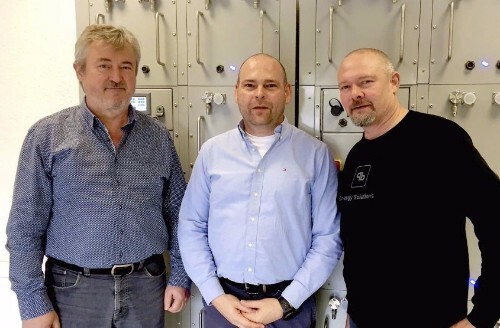 PBES and Noris Automation GmbH today announced a partnership agreement to represent PBES energy storage for hybrid and fully electric commercial marine vessels. This further underscores the on-going green shift that is now occurring in the commercial marine industry. The PBES energy storage system has been designed to the highest standards of performance and safety and is designed to seamlessly integrate with all top OEM propulsion systems. The Noris Group GmbH, headquartered in Nuremberg, Germany and its subsidiaries in Rostock – Germany, Rotterdam – Netherlands, Shanghai – China and Singapore are leading manufacturer of Marine Automation Systems, such as Alarm, Monitoring and Control Systems, Propulsion Remote Control Systems, Local Operating Panels, sensors, switches, transducers and indicators for the past 90 years. With almost 200 employees and more than 25 sales and service support centers worldwide, Noris is servicing its customers around the globe with committed quality. PBES and Pangea Marine Trade announced the agreement to represent PBES energy storage for hybrid and fully electric commercial marine vessels in Southern Europe. This underscores the on-going green shift that is now occurring in the commercial marine industry. “The hybrid power system of today is smart, proven technology, designed for ease of integration and uninterrupted performance,” said Brent Perry, Chief Executive Officer, PBES. “PBES energy storage is ideal to optimize the vessels Pangea’s customers are currently supplying to the marine industry”. “We are pleased to announce the agreement with PBES,” stated Mete Özalp, Managing Director, Pangea. “Much of the future of shipping will be based on hybrid and electric propulsion. After we evaluated the industry option; as well as the sustainable movement around the globe, the advantages of PBES liquid cooling were clear, and the company’s service driven values fit well with our own. PBES today announced that Eivind Aune has joined the firm to develop energy storage markets. Mr. Aune brings decades of experience in Norwegian business. With an MSc in electronics/cybernetics and an MBA in international marketing and trade, Eivind has found success in several board and CEO positions. Eivind spent the 8 last years as an owner and CEO of Sifa Mechanical Production in Selbu, Norway. PBES’ high performance lithium batteries are known as the safest in the world. Thermal-StopTM CellCoolTM and CellSwapTM systems make PBES batteries safer, longer lasting and better value than any other product available today.